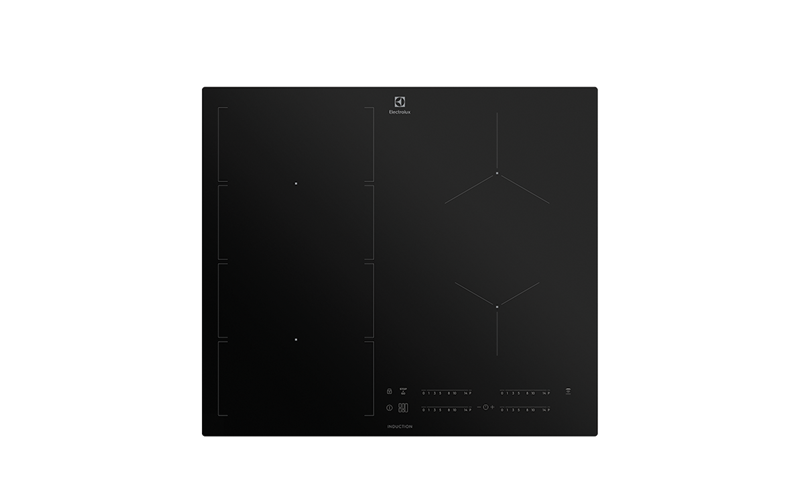 60cm 4 zone induction cooktop with FlexiBridge zone, 14 stage slide controls, Stop & Go and Hob2Hood capability. Enjoy a kitchen appliance thats versatile enough to handle your most complex dishes. Thanks to FlexiBridge, you can combine your induction segments in a range of ways or use them all at once for the largest single cooking area available. Perfect heat distribution ensures even cooking all the way through. The touch controls on this hob lets you heat up, down or switch off immediately. Just gently slide your finger across the control to the temperature you need and you can be confident it will respond right away, so you can create delicious meals effortlessly. The Stop & Go feature offers a useful keep warm setting if youre unexpectedly interrupted. Created for those unexpected interruptions, the efficient Stop and Go function allows you to temporarily leave the cooktop on a keep-warm setting if you are called away. When you are ready to start cooking again, simply press Stop and Go, and the cooktop will restart again with your previous setting.